The above oil on canvas dates between 1680-1690 and is attributed to the Spanish Baroque painter Francisco Ignacio Ruiz de la Iglesia. 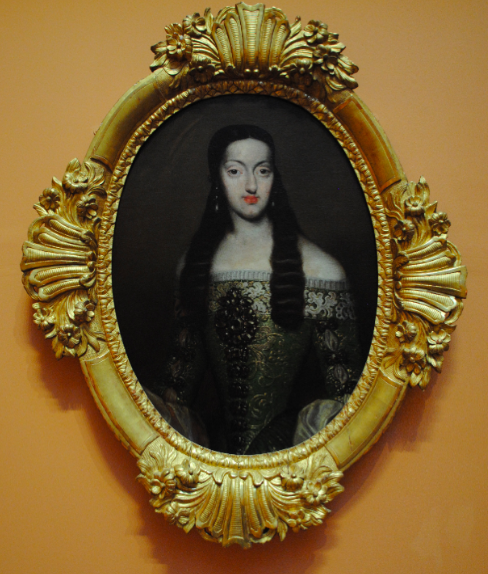 Previously thought to be the work of Jose Garcia Hidalgo, the portrait depicts Marie Louise of d’Orleans, the Queen of Spain. The daughter of Duke Philippe, she married Charles II of Spain in 1679 and the portrait was produced shortly after her marriage.